When choosing a cat food brand, consider your pet's age. A cat's age is broadly segmented into three stages: kitten, adult and senior. Ideally, you should choose cat food that is appropriate to your pet's age.Foods manufactured especially for kittens are rich in both protein and fat which are essential to the development of your pet's muscles, bones, and teeth. The only exception here is if the cat is pregnant or nursing. Pregnant and nursing cats require meals which are higher in fat and protein. When your pet reaches old age, it becomes more sedentary and will require a diet which is low in fat and rich in proteins which can be easily be digested as well as processed by their kidneys. Once you have narrowed down your food choices to those appropriate to your cat's age, the next thing that you need to do is to look at the food labels. 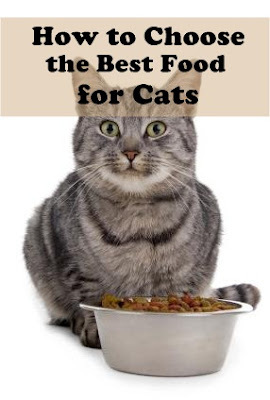 Experts suggest rotating different cat foods to prevent boredom and to ensure that your cat gets a balanced diet. It is also recommended that you give your pet both dry and canned food. Choosing the best food for your cats is really very important to ensure their health.